Artist Residencies are programs that provide guest artists with a period of reflection, research, collaboration, presentation and/or production. Around the world, a wide variety of Artist-in-Residence programs are sponsored by universities, museums, galleries, theatres, government agencies and festivals, where artists, curators, and all manner of creative individuals are invited to spend a period time away from their usual environment and obligations. 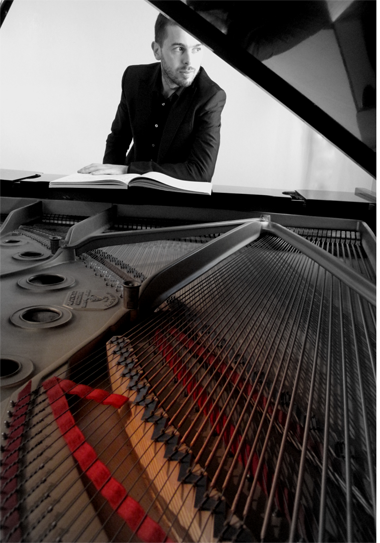 On Friday, October 11, SSAC Director Brian Foss announced the appointment of Maestro Mauro Bertoli, classical pianist, as Carleton’s 2013-14 SSAC/Music Artist in Residence. “In the world of classical music, Italy has long been known for producing famous singers and conductors. For some reason, though, the list of renowned Italian pianists is considerably shorter — Arturo Benedetti Michelangeli and Maurizio Pollini are among those who come to mind. However, with the release of three CDs on the Cavalli Musica label featuring a young artist by the name of Mauro Bertoli, that list should be immediately augmented! Maestro Bertoli’s many critically acclaimed recordings have been broadcast by CBC Radio, Rádio Câmara Brazil, Brasilia Super Rádio, Radio Classica Bresciana, and Radio Classica Milano, among others. Frequently a guest soloist with some of the world’s finest orchestras and an invited clinician at universities and conservatories around the globe, Mauro Bertoli is also renowned for his virtuosity and breadth of repertoire as a chamber musician. International students are increasingly turning to Carleton University as a North American destination of choice for classical music studies. Canada’s bilingual and multicultural National Capital City is the home of the world’s largest chamber music festival (the Ottawa International Chamber Music Festival), Canada’s National Arts Centre Orchestra, and a wide range of cultural festivals and events throughout the year, providing invaluable performance and classical music listening experiences for students of music. The Carleton University Music Department has existed since 1967, and the performance program was introduced in 1975. In 1991 the School for Studies in Art and Culture (SSAC) – of which Music is a division, together with Art History and Film Studies – was formed. SSAC/Music currently offers a wide range of innovative courses and programs, including the Bachelor of Music, Bachelor of Arts (Music), and Master of Arts degrees. 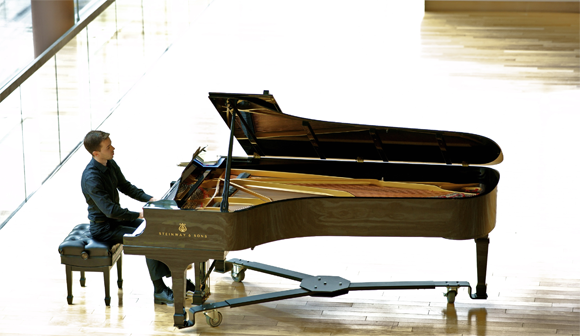 Carleton’s Bachelor of Music program was one of the first on the continent to offer performance degrees to students studying a broad range of musical genres, including classical, jazz, carillon, music theatre and world music styles. Carleton University is Canada’s Capital University! Situated on a picturesque campus bordered by the Rideau River and Canal, Carleton is just minutes from Parliament Hill, the seat of Canada’s federal government. Carleton’s faculty provide a superior learning experience for 22,500 students who hail from every province in Canada and from over 100 countries around the world. 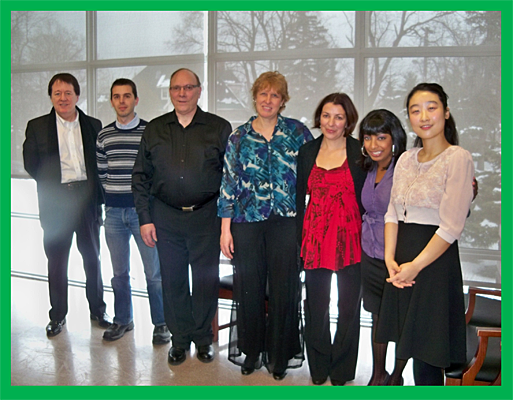 Royal Ottawa Hospital Noon-Hour Recital Series (December 5, 2013). From left to right: James Wright (Supervisor of Performance Studies, SSAC/Music), Mauro Bertoli (SSAC/Music Artist in Residence 2013-14), Michel Hutchison (classical guitar, 1st-year BMus student), Anita Molnar (mezzo-soprano, 2nd-year BMus student), Accompanist, Deanna Singh (soprano, 3rd-year BMus student), Seung-Hee Han (soprano, 4th-year BMus student). Photo Diary: Artist in Residence Celebration, October 11, 2013, in the MacOdrum Library. Listen to the October 1st edition of the Carleton Music student’s weekly radio program “Showcase,” featuring Mauro Bertoli. Click on the blue button to hear the podcast. Concert and masterclasses with James Wright and Julie Nesrallah at Festival Internacional de Musica – Universidade Federal de Goias, Brazil (Oct.27 – Nov.1) Among the works to be presented, “Briefe and die unsterbliche Geliebte” for piano trio and mezzo soprano by James Wright.